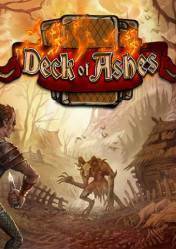 It is a digital version of Deck of Ashes and is available directly from the Steam store, or through digital keys in other online stores. It is also possible that a store sells it in format "Steam Gift" so you will have to activate it by clicking on the link that we will receive in our email after buying it in this version. In digital format, the activation of Deck of Ashes is very simple. first we must access our account Steam, go to the section of our "Games Library" and at the bottom left, the symbol "+" irem,os to the section "Add game". This is an adventure game with tactical combat cards, a solid, fun and deep game bet. You can explore a fantasy world in search of the most powerful combat cards. An incredible adventure in which we must make a series of important decisions if we want to survive, decisions that fall on the collection of resources, exploration, card creation, and many others. Not only is the construction of combat decks important in Deck of Ashes, but also the exploration of this huge fantasy world is generated in a way, both the construction of the world, as well as the enemies and treasures we will find. There are no comments yet about Deck of Ashes. You can be the first one!